LG earlier opened the very first LG Electronics Information (ID) Display Showroom in the Philippines. The showroom is designed to feature the best of LG's innovations for everyone. LG also encourages visitors to actually try the devices LG has been making for decades. 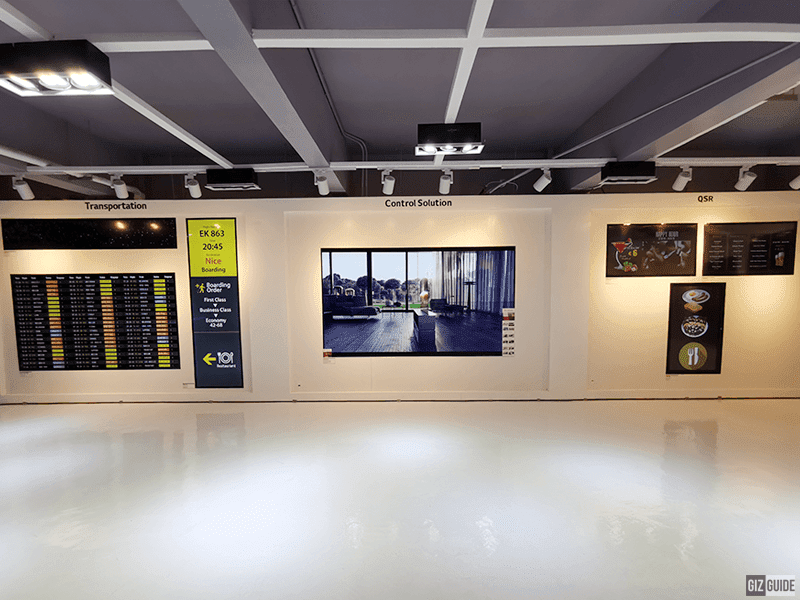 LG's Information Display (ID) Showroom is located at their headquarters in Pasig City. It highlights areas in various businesses' tech needs such as: Control Solution, Quick Service Retail (QSR), Transportation, Retail, Education, and Corporate. Control Solutions - LG features a 0.44mm bezel display for effective command and control centers. LG claims that it is the slimmest video wall that is better than any LED display. It is for crisp and clear imaging for large-scale deployments. Quick Service Retail - Also known as QSR, LG's Quick Service Retail solution is for businesses like fast food chains. 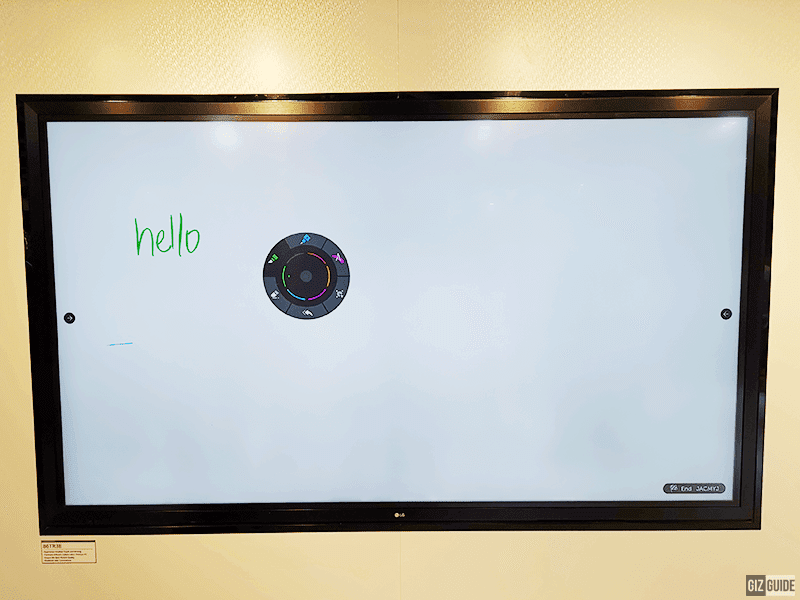 LG designed an interactive touchscreen with brighter and clearer quality. 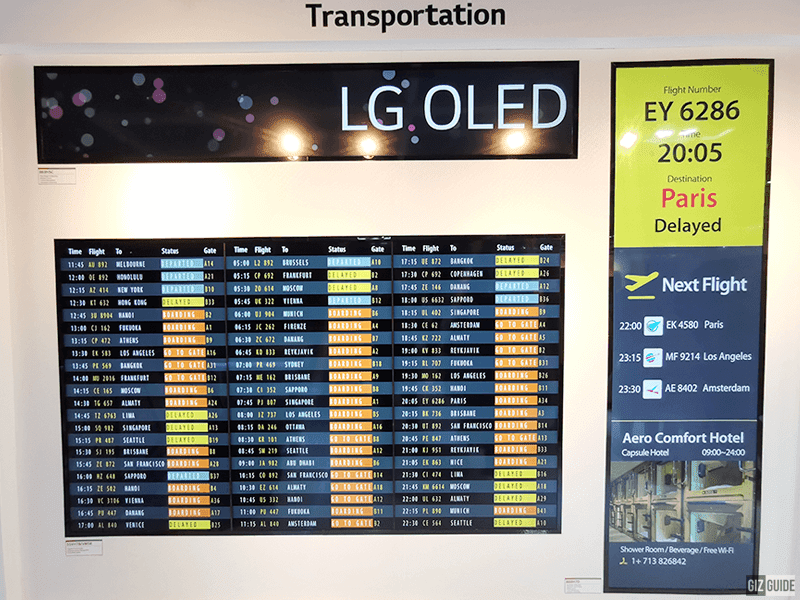 Transportation - LG uses an 86-inch and 88-inch stretch screens for transport terminals like bus hubs, train stations, and airports. LG stated that the screens are unique for the LG brand and can be maximized by showing four different contents in one gigantic HD screen. It can be used for ads and announcements which can capture public's eye in an instant. 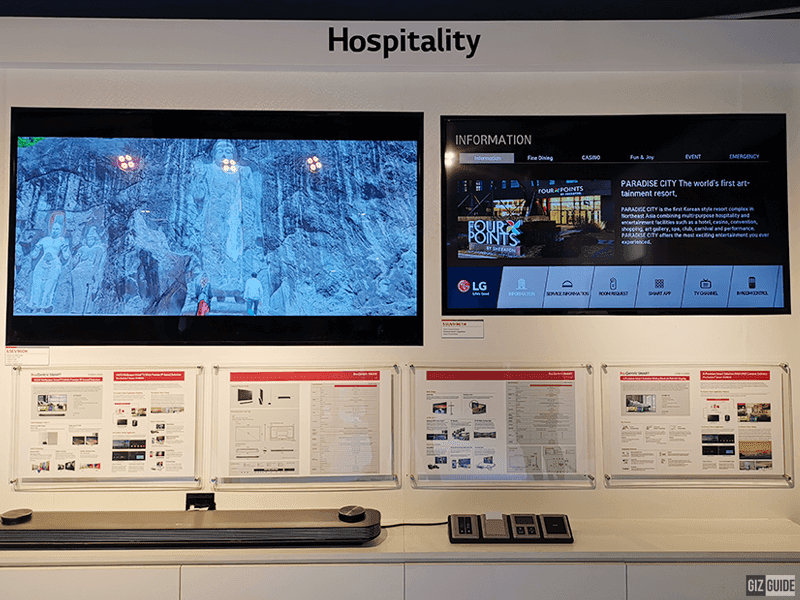 Retail, Education, and Corporate - LG developed an 86-inch ultra HD touch screen with 20 touch points for a more interactive and immersive presentations and learning experience. Users can scribble on the screen, facilitate digital transactions, take screenshots, screen videos, and even send files directly from the screen to email. 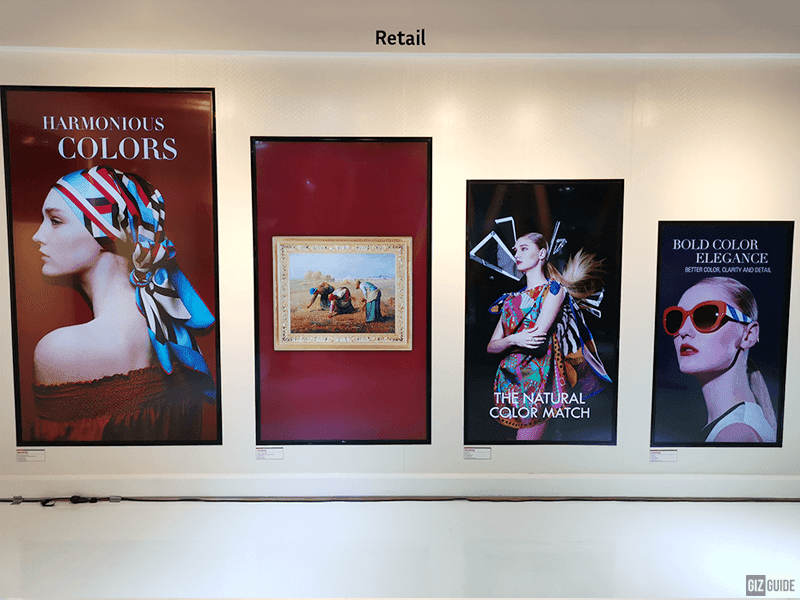 Hospitality - LG has also designed various displays that can fit the theme and design of any property. It can be a screen that is as slim as a wallpaper or a super sleek TV that doesn't need a digibox. The screens even has LG's Pro Centric solution programs designed for hotels. LG even has a transparent screen that will only show visuals when needed. It can also be used for advertising. LG's new showroom is available for technical seminars and partner training sessions. Interested parties may contact LG Philippines to schedule an appointment. Call them at (02) 902-5544 or visit www.lg.com/ph.